Word for Today:The righteous are blessed. Word for Today: The righteous are blessed. 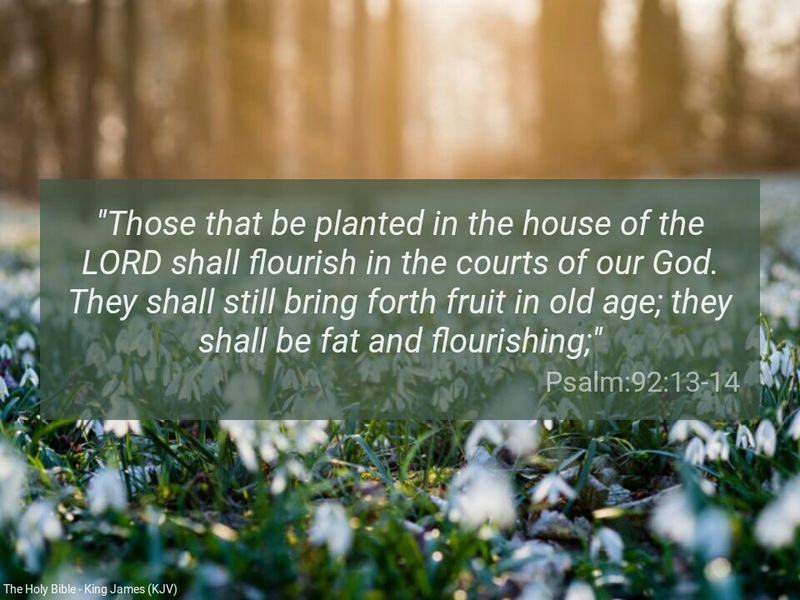 “Those that be planted in the house of the LORD shall flourish in the courts of our God. They shall still bring forth fruit in old age; they shall be fat and flourishing” (Psalm 92: 13-14). “The righteous shall flourish like the palm tree: he shall grow like a cedar in Lebanon” ( Psalm 92:12). in a dark world. Let the word of God be your light as you go about life ( Psalm 119:105). God does not compromise in righteousness and holiness. There is no unrighteousness with God ( Psalm 92:15). His eye are too pure to behold iniquities. “In righteousness shalt thou be established: thou shalt be far from oppression; for thou shalt not fear: and from terror; for it shall not come near thee” (Isaiah 54:14). Keep your focus on the word of God, which is quick and powerful. With the Word of God, you are more than conqueror ( Romans 8:37). “It is better to trust in the LORD than to put confidence in princes” ( Psalm 118:9). Father, please empower me never to shift focus on you no matter what I am going through in Jesus Mighty Name. Amen. Previous Previous post: Word for Today:We praise God for Jesus, the grace of God.